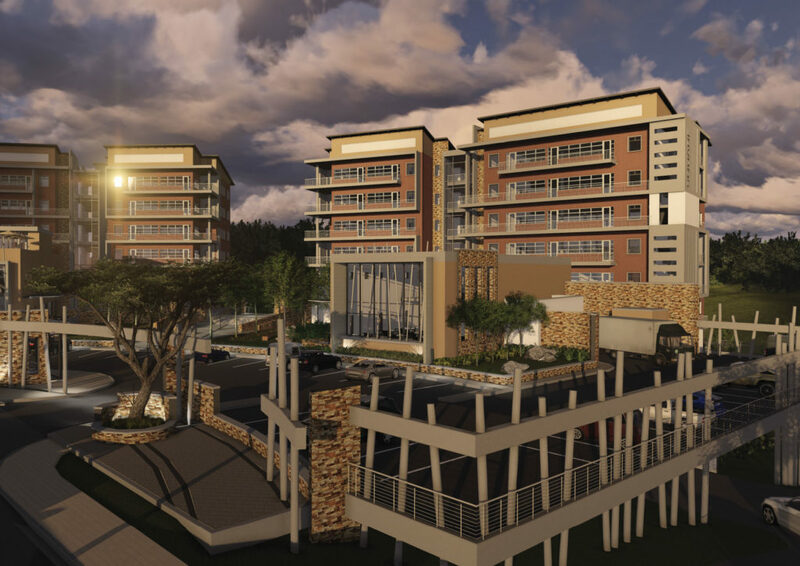 Mbombela Square is part of the new state-of-the-art multi-use spatial development in Mbombela, Mpumalanga, a development committed to sustainable development. 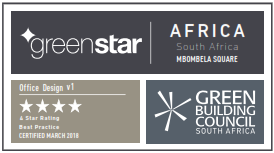 Mbombela Square, certified 4-star Green Star SA Office v1 Design, is part of the new spatial development framework in Mbombela. The development commitment to sustainable design is reflected by the construction of the state-of-the-art multi-use development in Mpumalanga, South Africa. 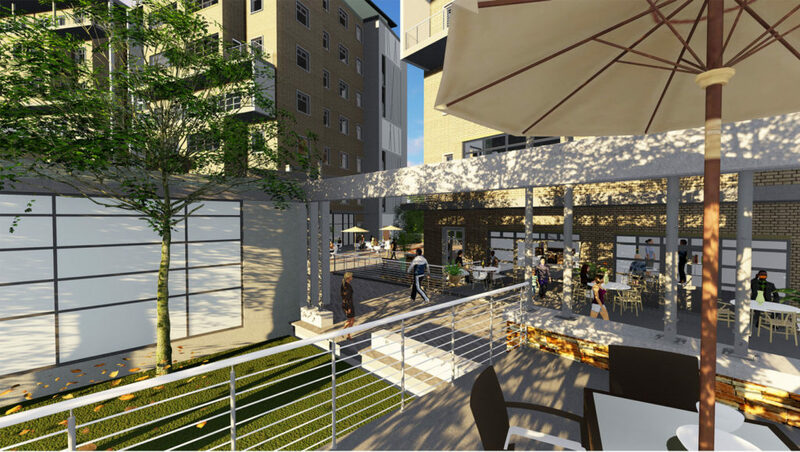 The square development includes restaurants and amenities within easy walking access to the site. The new offices boast various spaces to work privately, collaboratively and interact socially. The building has an efficient HVAC system, central lift core and service core connecting to the waste and service areas. Hot water is efficiently supplied by heat pump to the shower facilities and kitchens. The building and site lighting is efficiently designed with 100% LED lighting, incorporating electronic control gear, maintained within 100m2 zones at 1.7W/m2. All external lighting does not emit lighting into the night sky thereby reducing light pollution on site. The heating ventilation and air conditioning system is a cooled air system. Making use of minimal water usage. Fresh air rate is supplied at 10l/s/person for 100% of the usable area. Majority of lights have been fitted with motion sensors. Which waste management strategies were adopted? Did the Environmental Consultant implement an ISO 14001;2015 EMS?